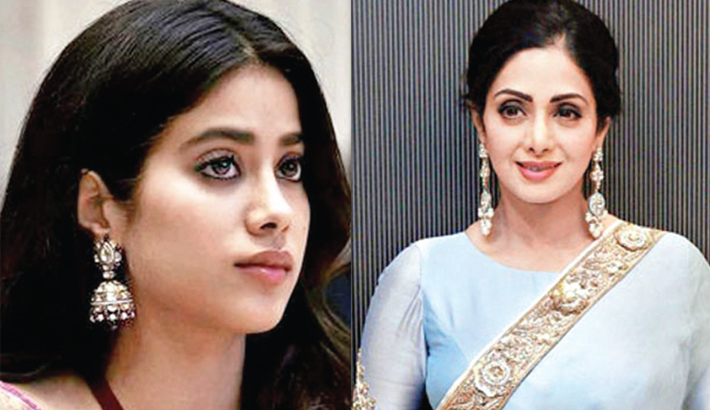 Actress Janhvi Kapoor remembered her mother and actress Sridevi on her first death anniversary, saying her heart will always be heavy, reports Mid-day. Sridevi, Bollywood’s first female superstar, died aged 54 on February 24, 2018, by accidentally drowning in a bath tub in a Dubai hotel, leaving the film industry, her family and legions of fans in a state of shock. The Chandni star was in Dubai for a family wedding. Janhvi expressed her feelings through an emotional post on Instagram on Saturday night. “My heart will always be heavy. But I’ll always be smiling because it has you in it,” Janhvi posted. Responding to the post, her sister Sonam K Ahuja, filmmaker Karan Johar, designer Manish Malhotra, her brother Mohit Marwah along with many others came forward to express their support. Sridevi began her career at the age of four in the devotional film “Thunaivan”. She worked across Tamil, Telugu, Kannada, Malayalam and Hindi movies. Ahead of her first death anniversary, Sridevi’s family, including her husband Boney Kapoor, Janhvi and Khushi and brother-in-law Anil Kapoor, held a puja for her in Chennai on February 14.